Our monthly Sunday SEN event for families provides a wonderful opportunity for families to enjoy some quality time in a peaceful and tranquil setting. The feedback we’ve had from parents who’ve attended these session says it all. “In the woods you forget about your everyday worries because it is so peaceful and relaxing. The wide space and fresh air is what all children on the spectrum need and fulfils sensory needs”. This is a great opportunity to be able to relax with your children, have fun, make friends and enjoy the restorative benefits of being part of a supportive and non-judgemental community. Experience the warmth of supportive community spirit along with the warmth of a lovely camp fire and feel relaxation spreading through your body and mind. A great way to spend a Sunday, whatever the weather! Any questions you want to ask? 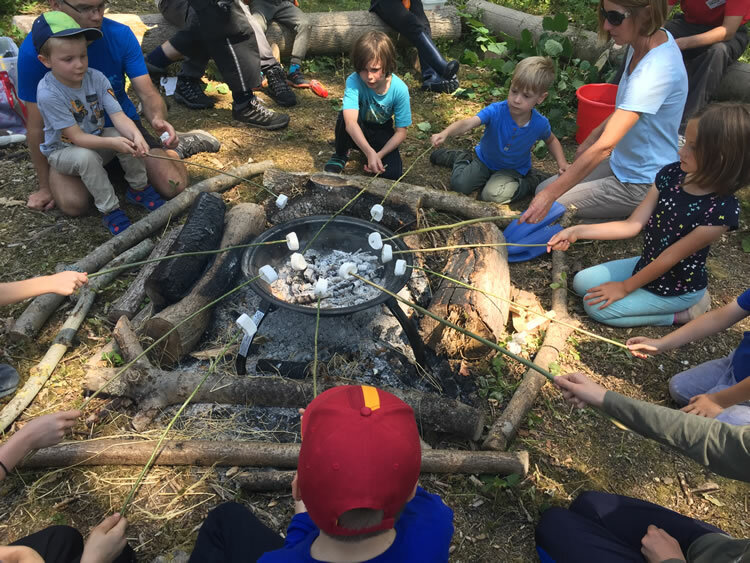 Our one day bushcraft session will provide you with practical skills to use when you’re outdoors, together with knowledge to help you connect on a deeper level with the natural world. Our complementary approach to bushcraft training will appeal to those wanting to explore a broader skill-set than just practical survival type skills. The session will run from 10 a.m. to 3.30 p.m. and is suitable for adults, and children aged 10 and over. Cost: £55/adult and £25/child* includes refreshments, plus all woodland resources and arts and crafts materials used on the day. Parking within the woodland is free. Please explain any special needs, allergies or dietary requirements?